What is a web engine? After choosing a WebKit as a big project for DPS911 course I started to go deep into a WebKit. But, I did a mistake at the start of my journey. I read code and issues of WebKit without a complete picture about WebKit in my mind, and the result was wasting lots of my time. And then I decided to start from the very beginning — from the definition of WebKit. In order to be a good contributor and actually understand which things to do and how they will affect the project, I need to know and understand every single word in the quote above. When I was reading the blog post of my course professor — David Humphrey about his contributions to WebKit I was really confused why he was writing about WebKit in the context of Google Chrome bugs. WebKit is an Apple’s engine, right? Right. Chrome is Google’s browser, right? Right. Hmmm… That was a time when I needed to go 18 years back in the history of Apple. In November 2000, several vacancies appeared on the Apple website in the “Wanted” section. Applicants were required to have a good knowledge of Internet technologies, experience in developing web-engines. In other words, at the start of 2000, Apple decided to develop its own browser. After examining the available options, the company’s engineers chose the open source engine KHTML / KJS, which, in their opinion, was the best. In January 2003, at Macworld Expo, Steve Jobs announced the Safari web browser, developed on the basis of WebKit. September 2, 2008 — Google announced the release of its own Chrome browser based on the WebKit engine. Chrome was originally released under Microsoft Windows, then versions for the GNU and Mac OS X operating systems became available. On February 13, 2013, Opera Software joined the development. 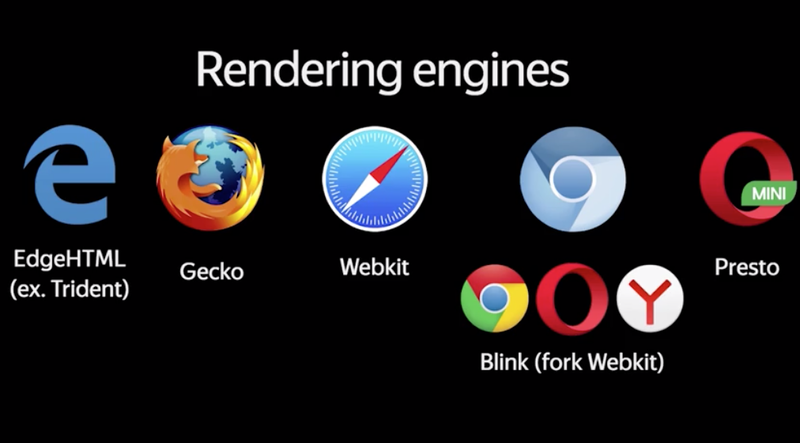 In April 2013, Google and Opera Software announced the transition to the Blink engine. And now I needed to understand what is the web engine, what does it do and how does it work. How web engines power the Internet? 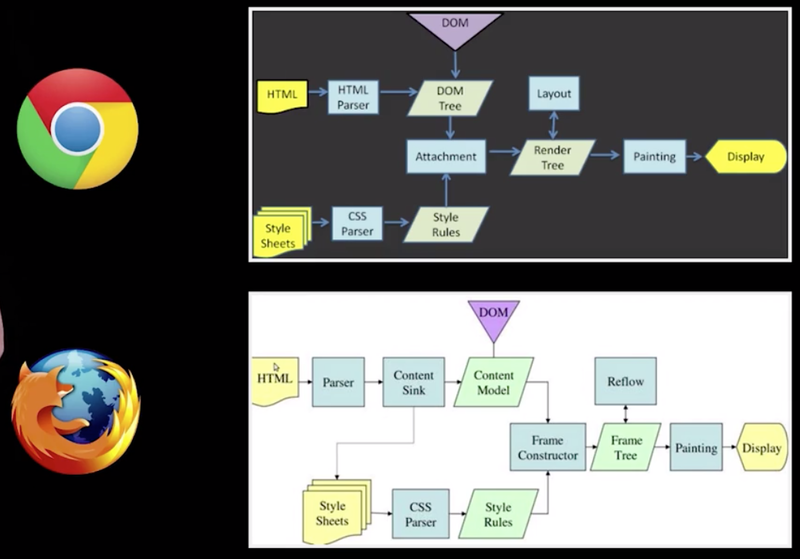 After hours of googling and watching YouTube videos, I found out some description and images about web browser engines (rendering engines) on Coursera. Set of modules for rendering. Comparison of rendering schemas of Google Chrome and Mozilla Firefox. As you can see names can be different but the flow is almost the same. How browser analyses the document. 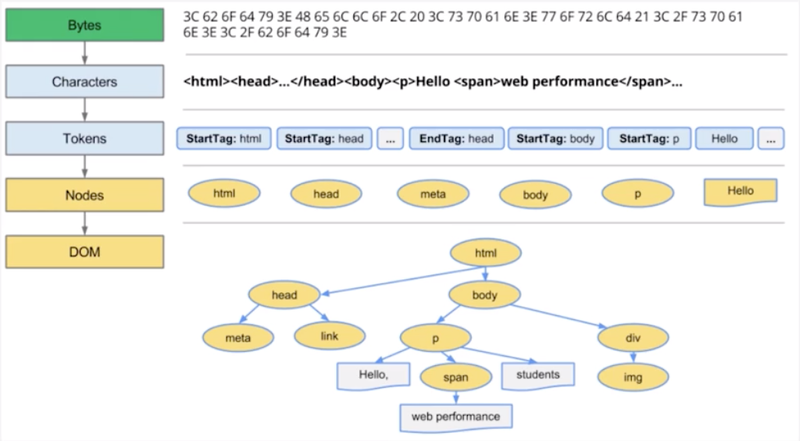 HTML Parsing Tolerance — browser ignores accidental closing <html> and <body> tags. Now, with basic knowledge about web engines and what they do we can continue going deep into WebKit engine. 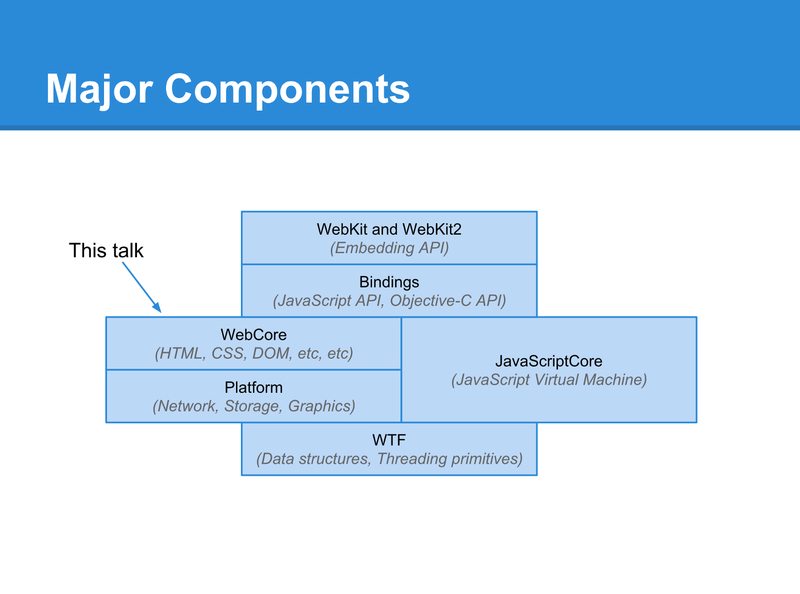 What is a WebKit and how it works? There are a few points that arise occasionally which we consider out of scope for the project. WebKit is an engine, not a browser. 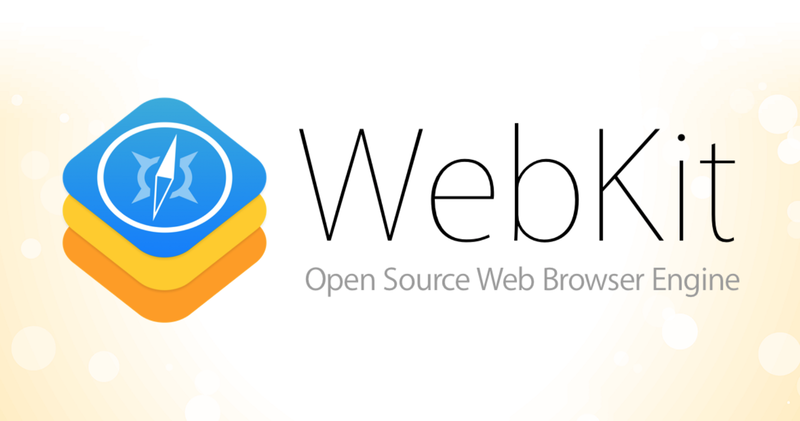 We do not plan to develop or host a full-featured web browser based on WebKit. Others are welcome to do so, of course. WebKit is an engineering project not a science project. For new features to be adopted into WebKit, we strongly prefer for the technology or at least the use case for it to be proven. WebKit is not a bundle of maximally general and reusable code. We build some general-purpose parts, but only to the degree needed to be a good web content engine. WebKit is not the solution to every problem. We focus on web content, not complete solutions to every imaginable technology need.